Mortem Vetus wish you all a fang-tastic Halloween 2015. And are proud to present "Lil Monsters" for The Kids 4. 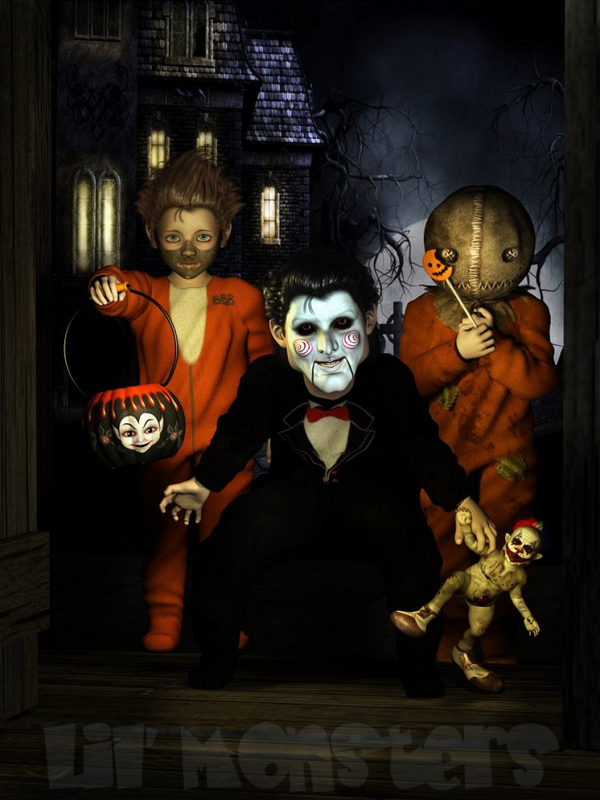 This pack is intended as fun dress me up at Halloween for the children,and has been created around face painting and simple costume,rather than realistic.